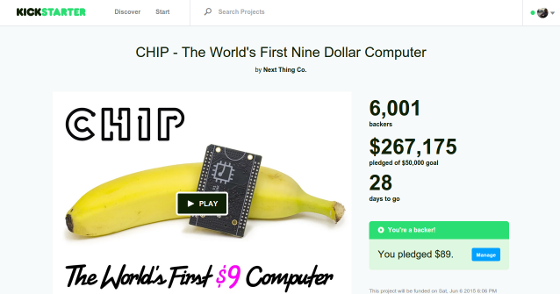 Yesterday I heard about a really cool startup project in Kickstarter. Several engineers from Oakland, California are working on a low cost mini personal computer with AllWinner R8 ARM SoC called C.H.I.P. We have seen a lot of other mini computers and developer board but C.H.I.P. is different. The price makes it different. It costs only 9 USD and it is an open source hardware device! All technical details are available at Kickstarter. C.H.I.P. supports GNU/Linux distributions. It has built in Bluetooth and WiFi. It is perfect for Internet of Things and soon it might be more popular even than ESP8266. I like to hack devices with Allwinner SoC and I have already ported Tizen to several open source hardware OLinuXino boards with A10, A10S and A20 Allwinner ARM SoC. So I quickly decided to back C.H.I.P. project and I ordered a PocketC.H.I.P. with HDMI adapter. It is funny that the delivery to my place costs almost three times more than a single C.H.I.P. May be this is a marketing trick but even though C.H.I.P. still seems as a great product.